Venerable Phra Anil Sakya is a Buddhist monk who studied at Cambridge before becoming an assistant secretary to the late Supreme Patriarch. 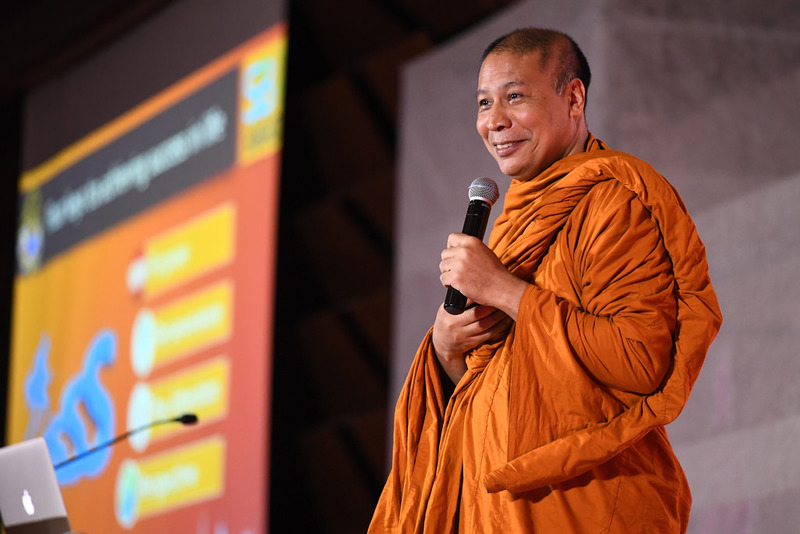 He now represents the modern face of Buddhism, lecturing internationally as well as being a deputy rector for foreign affairs at Mahamakut Buddhist University. 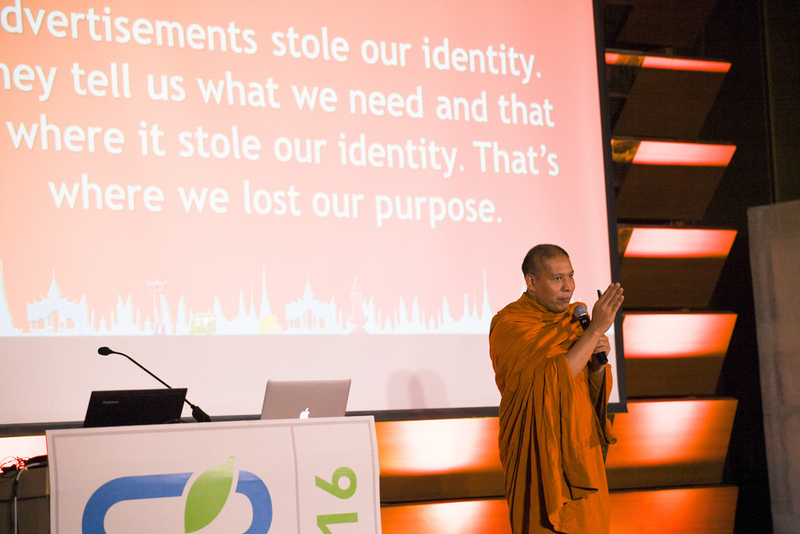 At Sustainable Brands Bangkok last October Maria he spoke on the theme of activating purpose from the perspective of Buddhism. This was an extremely interesting talk, especially as he opened with the question of if we have a purpose, why do we still have to activate it? It was really interesting to hear his thoughts on advertising, saying that “at some time we lost ourselves”. This is an important part of our message with Holonomics, which is the way in which we think about work, business, purpose, and also the nature of money itself. 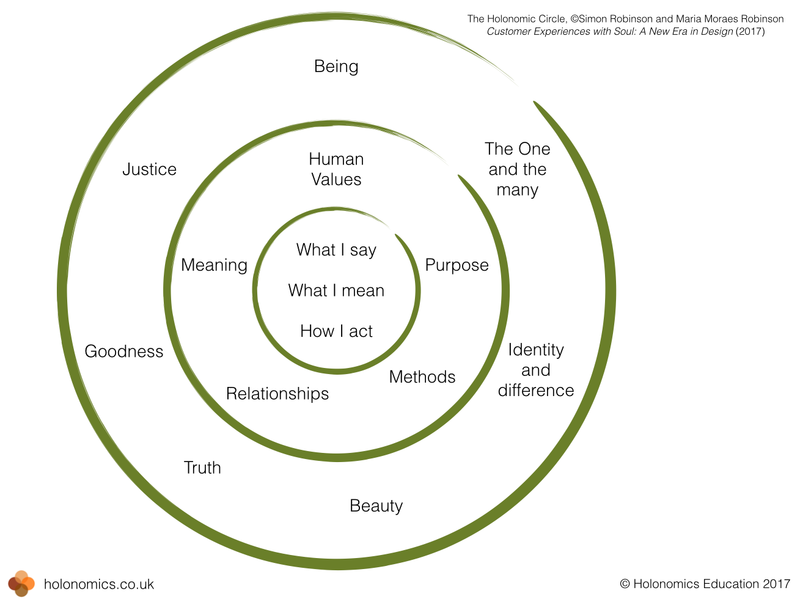 We also discussed our framework Customer Experiences with Soul, and introduced our new tool The Holonomic Circle, which we use to show businesses and organisations how they can put our Holonomics approach into practice. 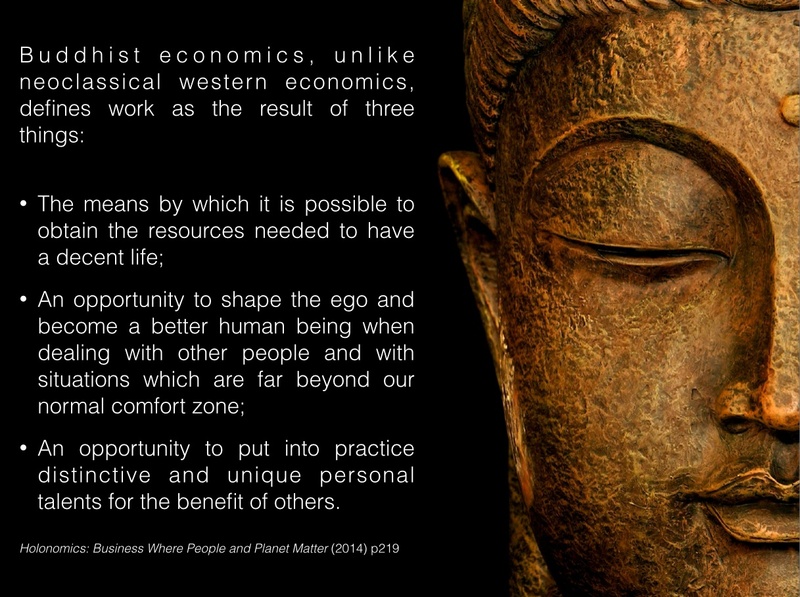 Venerable Phra Anil Sakya’s comments on identity and purpose are extremely relevant here, since we take a transcendental approach to ‘being’ – looking at what the constituent elements of being are, and how we can develop a more soulful approach to business through a deep contemplation of being. Mastery therefore plays a central role still in business, since mastery is the ability to reveal new worlds to us, new ways of being. The day after Sustainable Brands Bangkok, Maria and I had the honour of being invited to the offices of Venerable Phra Anil Sakya where he told us his story of how he came to be a monk, his training, his academic work and the work he is doing now spreading the message of Buddhism in the modern world. The message of sustainability can be found in the teachings of Buddha from 2,500 years ago, where a sustainable life is one of moderation, resilience and wisdom, where wisdom is defines as the knowing of something from every perspective. As Venerable Phra Anil Sakya concludes by quoting from entrepreneur Jack Ma, founder of Alibaba.com, “Buddism is about wisdom. Buddhism is about changing your body to be in harmony with your heart. Buddhism is about changing your body to meet your soul and heart”. Venerable Phra Anil Sakya finished his talk with with Buddhism ABC – Awareness, Balance and Compassion. Buddism means awareness, it means mindfulness, it means being alert to your present situation. With mindfulness comes the necessity for balance in our lives, and knowing that this world “is not for ourselves alone”. We live in communities, always with other people, so compassion teaches us to always think of others and our relationships with other people. 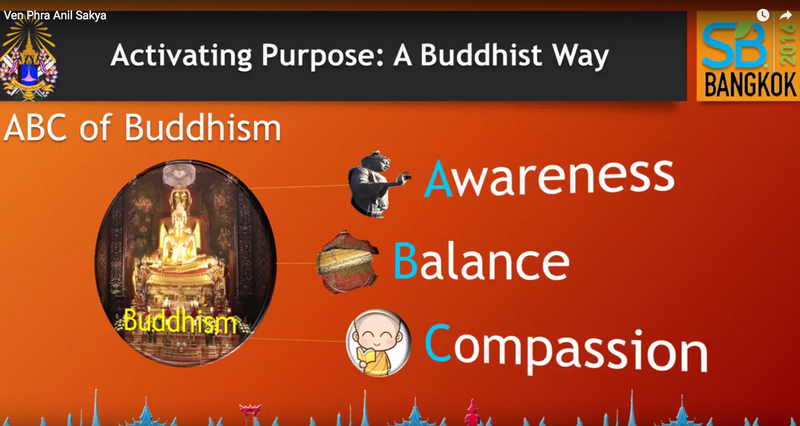 For Venerable Phra Anil Sakya, this is the Buddhist approach to activating purpose.